How many letters do you have after your name that are relevant to what you do now? Are these letters recognizable to the average person? Do you use these credentials to do exactly what you want to do in your career? Was your training academic or was it focused on a specific career or business goal? Did you feel it was necessary to have the certifications and training to do or provide services doing what you love? How much of what you’ve learned through your certifications and training have provided a step by step structure or format to follow for you to feel confident in offering your services to others? Are you still struggling to figure out how to put all your training and education together with clarity and focus? If any of these questions resonate with you, you are not alone. There are many professionals who do not lack certifications, training, or academics. However, as I have been looking over many LinkedInprofiles over the past several weeks, I’ve noticed a distinct lack of direction and focus even though there does not seem to be a lack education and experience on the profile. The confusion for me is that there are often more than one industries listed and a lack of clarity with regard to whether they are networking with others in their profession, selling a service or a product, or seeking employment. I had more than one and have since taken the extraneous industry off my profile. The overall feeling of the profile imparts a lack of enthusiasm, joy or even interest in who they are and/or what they are offering. In many profiles, there is a distinct feeling of Career ADD going on. Are you on LinkedIn now reviewing your profile? LinkedIn profiles are only one symptom of the confusion pervasive among professionals with many letters, training and education. This is not by any means meant to minimize the time and effort it takes to complete the trainings associated with these letters. However, it does point often to a lack of focus in how they are applied in the real world. In conversations with professionals, some have told me that they perceive the letters will make them more marketable. Others feel compelled to accrue more and more training to feel worthy, when in fact there continues to be a lack of purpose or direction that actually prevents some from moving forward. The amount of money some have put into their training and education that will never be used can be staggering. 1. For LinkedIn Profiles – start by reading your profile from a neutral reader’s perspective. What are your feelings about this person? Do you know with certainty what is being communicated to the public about you? 2. Then pick one area you want to focus on and clean up any non-related information such as listing a job, experience, or industry that has nothing to do with what you are trying to communicate. 3. Review all the letters you have after your name in your signature line and pick only those that represent who you are and what you love doing. Even if PhD does not relate to doing what you love in your work or with what you are offering as a service, do not include it. Those of us who use services only want to see relevant training and experience – it may seem to offer you credibility, but in truth, it looks like you spent a lot of time on an education that does not relate to your present goals. My own master’s program was as relevant when I got it as it is to what I do today. I’ve had dozens of trainings since then, relate to what I’m doing today. Planning to reach out to recruiters during your job search, but don’t know how to approach them? You’re in luck. It’s easier than ever to find recruiters who specialize in your field by using LinkedIn—and even better, they’re often receptive to your queries from the site. Here are some tips for finding potential recruiter contacts on LinkedIn, as well as the results of an informal recruiter survey conducted on LinkedIn that sheds some light on best practices for approaching these new contacts. The Advanced People Search function, accessible from the Search bar at the top right of most LinkedIn pages, is one of the best tools for job seekers trying to find key contacts. To use the search capability, select People from the dropdown next to the Search box, then click on Advanced. From the Advanced People Search menu, here’s where you’ll want to perform a simple query on Keywords; for example, a search on “recruiter technology” turned up thousands of names for IT recruiters. Of course, you can expect to refine your keywords, perhaps adding in an area of specialty to help hone in on the recruiters who seek candidates at your career level. After identifying a pool of key recruiter contacts, you’ll need to craft an introduction that is succinct, professional, and related to your area of specialty – keeping in mind that this note should be tuned specifically to each of your new contacts. As one person noted in a survey from LinkedIn on recruiter queries, many recruiters are “very receptive” to receiving a note from a candidate, especially one whose experience and career level aligns with their particular area of specialty. Be aware, however, that this note must explain the purpose of your query. Another recruiting manager noted that a “good approach” includes an explanation of your reasons for the contact and what you’re seeking. It’s not enough to ask if the recruiter is seeking candidates with your background! In this contact, you’ll want to be specific about your skills and fitness for your career goal, allowing the recruiter to see how your qualifications apply to this job type. To put it another way, your message needs to resemble a cover letter. Often, this first note stimulates dialogue that allows the recruiter to point out job listings from a corporate websites, or to add the job seeker to an internal recruiting database. In addition, some recruiters will help you follow their current sourcing requirements by directing you to their primary method of streaming new job postings (such as a Twitter or RSS feed). I'm excited to find out I was one of the first five people to become a Certified Linkedin Recruiter Coach. Thank you to my team who helped to make it happen and thanks to Linkedin for including me in the rollout of this new program. One of the first pieces of advice I always give to job seekers is to network with the people you already know – friends, family, neighbors, former colleagues and fellow college alumni. These people are valuable members of your LinkedIn network and, ideally, will be happy to introduce you to potentially helpful contacts in their LinkedIn networks. However, there are some instances where you’ll want to reach out to people who are not at all connected to your existing network and are, in your estimation, Very Important People. Your VIPs may include recruiters, hiring managers, senior executives at prospective employers or “stars” in your industry. 1. Ensure that your profile makes a great first impression. VIPs are busy people, so if they receive a LinkedIn message from you and decide to check out your LinkedIn profile, chances are they’ll only spend a few seconds reviewing it. This means your profile has to be stellar. First, craft a profile headline that is very specific and sells your skills and uniqueness, such as “Deadline-driven copywriter with 10+ years of experience at top-tier ad agencies.” Next, make sure your profile is 100% complete so a potential employer can quickly understand your education, experience and key skills. Finally, quadruple check your profile for typos, grammar mistakes or “red flags” such as outdated certifications or unexplained gaps in your experience. 2. Do your research on each VIP. Before reaching out to anyone, but particularly to a VIP, thoroughly review the person’s LinkedIn profile. Take note of anything you have in common with this person, any recent changes in his or her employment or any recent status updates that might give you something to mention in your outreach. Doing your homework will increase your confidence and will ensure that you don’t make any big mistakes (such as asking the person what it’s like to work at a company he just left). Answer a specific request. If the VIP is a recruiter or executive who has specifically mentioned a job opening, then be clear that you are responding to that opportunity. For example, “Candidate for sales manager position you mentioned on WXXX radio this morning.” In this case, there’s no need to beat around the bush! Many people make the mistake of thinking that LinkedIn (www.linkedin.com — the world's largest professional network) is only for people looking for a job. It actually is a terrific resource for employed people. 1. Having a strong LinkedIn profile and a sizable network on the site can make you appear as a more successful and qualified employee to your current supervisors and coworkers. It also shows your colleagues that you get 'social media" and new technologies. 2. By listing your company as your current employer in your LinkedIn profile and by interacting professionally with others through the site, you personify your company's brand in a positive way. Such a strong online presence will also impress potential customers and business partners with whom you connect on LinkedIn. 3. By joining LinkedIn groups, you can learn a tremendous amount of valuable information related to your position, field or industry through articles posted on group discussion boards. For example, I joined several LinkedIn groups involving social media to learn how to use Twitter, Facebook and other social networking sites. I joined LinkedIn fundraising groups to learn how to generate more donations for a nonprofit organization. LinkedIn features nearly 1.4 million different topical groups so there are sure to be groups that can help you strengthen your professional abilities and increase your business knowledge. You can also join groups associated with your company, college, volunteer organizations, local clubs, and national associations, which can help you appear more active and engaged in your company and community. Plus, by being in groups with thought leaders in your industry or field, you can learn who the leaders are, become familiar with their viewpoints, correspond with them via the group discussion boards, and invite them to connect to strengthen the relationship. LinkedIn is the new résumé. If you’re applying for a job and you send me a résumé via email, I’m going to do a Google search of your name before I even download the attached résumé. The reason I do this is because I trust your online professional brand more than I trust your perfectly formatted, proofread, and scented résumé, and for our professional branding company, how you present yourself online is important. You have a full and active LinkedIn account. This shows me that you understand new technology (even though LinkedIn isn’t really that new) and that you are actively positioning yourself as a professional in the online space. Your LinkedIn profile photo is not of you drinking/doing illegal activities. Again, this shows your professionalism. Leave the boozed-up photos for Facebook, or just leave them out altogether. You have relevant experience and descriptions of what you did at each job. This is basically the “meat” of your résumé. It tells me what you’ve done before, how long you did it, and what you learned from it that could potentially add value to my company. This is one area where LinkedIn is way more effective than a résumé. I can actually click through and read about the company from your profile. I can see who else works there and contact them about you – rather than simply contact your references, who are obviously people guaranteed to say nice things. You have Organizations/Associations/Publications and Groups listed on your profile. All of these sections accomplish the same goal: They show me if you are passionate enough about your field to get involved in organizations, write for publications, and network with other individuals. I like seeing people who are involved in a few LinkedIn groups, have published a few articles, and are actively engaged in different associations. It tells me that they live their professional brand longer than the 8-to-5 most jobs require. If you have not evaluated the search engine optimization (SEO) of your LinkedIn profile, you should. Some 98 percent of recruiters say they use LinkedIn to find job candidates, compared to 33 percent who use Facebook, according to a survey from Bullhorn Reach. Use the strategies below to improve recruiters’ ability to find and view your profile. Focus on keywords. Similar to Google, LinkedIn’s search engine looks for keywords in your headline, summary, specialties and current position. If you are editing your profile and click on a skill or expertise in the “Skills and Expertise” section, you can also quantify your years of experience in that area. Every skill you add makes you easier to find. You can identify buzz words by reviewing the textbooks, journals, blogs and websites of the professional associations in your field. Position descriptions will also provide clues. Use the email settings. This permits you be notified immediately of invitations and opportunities. To ensure that these settings are in place, go to settings > account > add & change email address. Gardening Consultant. Finding the right vegetables to plant for your soil & climate. Social Media Consulting. Free profile analysis to leverage brand and maximize your exposure. Forging business relationships internationally; supply chain management consulting. Blog Consultant. Advising & educating new bloggers how to write and promote a blog to build an online community and generate sales. Helping my clients achieve success through strategic, results-based B2B marketing. Link to your website. 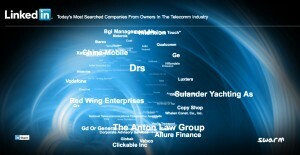 Select “Other” for blogs and company websites so you can name it. This, too, improves your SEO because Google views this as an anchor text. Claim your personal URL. LinkedIn defaults to a long and incomprehensible URL. You can elect to customize one instead, which you can then use on your resume or email signature. It defeats the purpose of LinkedIn and your SEO if you do not make the information public. To publish your profile, go to Edit > Public Profile > Your URL. Then type the text that you prefer. Market yourself. Be selective of the positions or details you include in your “experience” section. Spend some time crafting a well written summary that conveys your enthusiasm and most noteworthy qualifications. Include quantitative results and accomplishments, instead of just activities. Scroll down the sidebar of your LinkedIn Home Page, and you’ll eventually notice the blurb that asks “Who’s Viewed Your Profile?” If you click on it, you’ll see a page entitled Profile Stats Pro designed to show you other users that have looked at your information. To get the most out of Profile Stats, change LinkedIn Profile Settings (accessible by hovering the mouse near your name at the top to access and click on Settings) to allow others to see your identifying information when you review their profiles. Click on “Select what others see when you’ve viewed their profile” and choose Your Name and Headline (recommended) to enable this feature. This will make your activity visible—but you gain the benefit of being able to see who is surfing for you by doing so. Paid or fee-based upgrades in a LinkedIn Profile will also offer you analytics in the form of Top Search Keywords, but the Free version, which we’ll cover here, show only the users themselves. Whenever I present on the topic of LinkedIn marketing inevitably the question comes up: “How much time should I spend on LinkedIn?” While there is no black and white answer, in general, you should be able to effectively use LinkedIn about 15-30 minutes a day. Now, there are caveats. If you’re a job seeker or recruiter, then obviously you should be spending more time. But, if you are using it to market your business, or to keep your personal and professional brand in the forefront of your LinkedIn network, then it’s a great start. Is there a “secret sauce” to LinkedIn marketing? Well, as a LinkedIn marketing consultant I’d be crazy to say no, but I do believe there are a few simple things you can do every day to make LinkedIn work for you and your business. My family and colleagues will attest to the fact that I’m not very systematic. As a matter of fact I have been compared to Dug – the dog in the movie Up! – Squirrel! One of the time wasting traps that LinkedIn users fall into is the email notification system. If you set up your account so you get an email for every invitation, every group discussion, every status update, you will spend an inordinate amount of time on LinkedIn. Go to your account settings and set it up so you get “Web Only” notifications. This will cause you to be more disciplined in your use of LinkedIn – and make you log on to the LinkedIn Homepage to access your notifications. By doing it this way, you have a set place to go during the 15-30 minutes you spend on LinkedIn – a headquarters if you will for all of your activity. When I work with companies on how to use LinkedIn, I always recommend that they log on to LinkedIn at the same time each day – or twice a day depending on your activity on the network. For most, it’s once in the morning and once in the evening. But your routine will depend on your schedule and your workload. Notice I said routine. If nothing else, making LinkedIn a routine will cut down on the amount of time you spend on the network, and make the time you do spend on LinkedIn more efficient. I’ve mentioned in previous columns the Status Update on LinkedIn and what a great marketing tool it is for B2B and B2C firms. Use it daily and what how your reach increases. When you first log on to LinkedIn – post an update for the morning. You can always have them written out in advance (as is the case with company news or announcements) or link to a particular article you find helpful to your customers and network. Make the Status Update a way of saying “hello!” to your network and be consistent – post it at the same time every day – or every other day. Soon, people will expect to see your LinkedIn status. It’s a great way to promote your brand. There are so many tangible examples of how online networking, especially LinkedIn can, has and does open doors and connections, not only for me but many others I know who are using it with very good results. Very good results come from not only understanding how it works technically, but why it works. LinkedIn is a professional platform — not a social platform. That’s important to know so you use it right and get the best results. People connecting with each other, making referrals, introductions and recommendations are nothing new really in business. The difference today is how BIG the networking world has become with the web and social media. This is why LinkedIn used strategically can help you make those smart, qualified connections. LinkedIn is the professional playground for professional connections. If you seriously want to engage the professional community and their decision makers, then LinkedIn is THE place to play. LinkedIn profiles are now hybrids of resumes, websites, Facebook and blog pages. It’s the most complete presentation of who you are and what you are up to … professionally. I send people to LinkedIn first! Make smart, right connections. Only the serious apply here. This is where the professional community engages, interacts, connects and refers. Start your process on LinkedIn if you want to get a company or person to notice you. Develop your profile, put up a professional head shot, link your blog, and post good content as often as you can and respond to other people’s posts. Who do you want to meet? Make a target list of who you want to meet-companies and people. 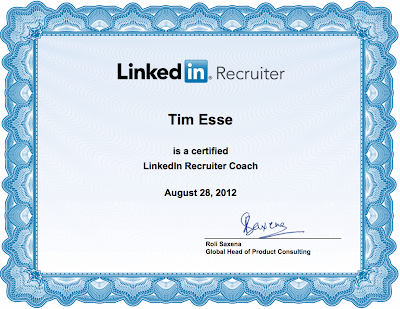 Make LinkedIn a prospecting, research and engagement tool. Use the information you gather to send thoughtful, smart messages. Who do you want to meet you? This is where “mutual magnetism” works both ways. There are people we all want to meet for the value they bring to us, but there is value in what you bring to others too. Use your connections, wisdom, experience and personality to both meet people and initiate people meeting you. Develop your profile and keep it up to date! When you recognize a company logo or hear a familiar ad jingle, it instantly brings to mind a brand that usually holds some meaning for you. For decades, traditional marketing departments have been creating campaigns to connect you with their brands. Meanwhile, the lines between recruiting and marketing have continued to blur. The adoption of some recruiting strategies more commonly seen in marketing departments has become standard practice in many organizations. At the center of these efforts is employer branding – a term that has been in usage for about 20 years, and that has recently become one of the hottest concerns for talent acquisition leaders. LinkedIn’s Hiring Solutions Insights team took a deep dive to understand the impact of company brand and employer brand on job consideration. In March of this year we surveyed over 7,000 LinkedIn members worldwide. Some results were what you would expect; others took us by surprise. 1. A strong overall company brand certainly helps with attracting talent. It stands to reason that if people admire your brand, they’re more likely to be aware of your company as an employer and potentially think it would be a good place to work. 2. Overall brand impacts job consideration, though not as much as you might think. Thinking favorably of a company isn’t the same as genuinely wanting to work there. 3. A strong employer brand – as indicated by an individual having a positive impression of your company as a place to work – is twice as likely to be linked to job consideration as a strong company brand. 4. A strong employer brand is especially critical for attracting more junior employees, candidates from younger demographics, and those outside the US. Among certain key audiences, employer brand isalmost three times as likely to be tied to genuinely wanting to work for a company as is company brand. The bottom line: regardless of how well known and regarded your company’s brand is, employer brand is a key driver of job consideration. How are you investing in developing, distributing and measuring yours? For more details – and if you’re building the case to increase your employer branding budget – download ourfree whitepaper. It seems like everybody and their brother is trying to position themselves as LinkedIn experts these days. Well, why not you? If you’re a career coach, sales trainer, business consultant or professional speaker offering programs on LinkedIn, you should probably know about these 4 obscure tips and tricks. I think they will help prove that your really know your stuff when it comes to leveraging LinkedIn, and if you’re not sure what to do with each of them, feel free to contact me because I can show you how to make the most of them or just sign up for one of my upcoming webinars. If you are on LinkedIn (and if you’re not, you should be), you should be actively participating in LinkedIn Groups. LinkedIn Groups give your overall LI experience more mileage – it’s really the meat on the LinkedIn bones. Some Groups are open to the public, some are closed, some have strict rules and some are “anything goes”. No matter the structure or the purpose of the Group, there is no doubt that they are fast becoming a must-use LinkedIn feature for professionals and job hunters in every industry. In order to get the most out of your LinkedIn Groups, it is important to know the rules of the road. I suggest following these 8 tips to get the most of out of your LinkedIn Group experience. Tip #1: Mind your manners! Remember the golden rules of social media – be helpful first and foremost, provide value, sit back and observe first, no hard selling. Follow the stated rules of the Group in all cases or risk being blacklisted. Group rules can be found in the Group Profile. Most groups have places for job postings (Jobs) and self-promotion (Promotions). Tip #3: Choose your Groups carefully. Yes, you can join up to 50 groups, but who can actively and authentically participate in that many? Check the Summary, Demographics, Growth and Activity of the Group by clicking on the More link under the Group name. Make sure each Group is worth your investment in time and energy. If one of your goals is to increase your sales or get more clients, identify your ideal customer/client and join the Groups where they participate. See what the Most Popular Discussions are in that group. What are your potential clients and customers talking about? What riles them up? What makes them excited? What problems do they have that you can solve? Where can you jump in and add some value to the discussion and help them out? If one of your goals is to bounce ideas off others in your field, then choose Groups that put you in touch with influencers. When I first joined LinkedIn, all I joined were Groups full of social media “experts” and consultants. It was a bunch of people talking at each other, but no one was listening and no one was learning. I am now much more selective about my Groups and I join the ones that offer me the most value and are the most interesting. What’s easy: knowing you need a passive candidate recruiting strategy to acquire top talent. What’s difficult: securing the resources necessary to actually define and implement that strategy. So, how do you make the case? We asked LinkedIn Recruitment Product Consulting Manager Mark Freeman, who advises customers on how to maximize their LinkedIn investment. Through his extensive experience as both recruiter and consultant, Mark has worked with companies in all stages of passive candidate recruiting adoption. Below he offers advice on how to sell the need for recruiting passive talent in the first place, and how to measure and track its effectiveness. What is the most common objection to having a passive talent recruiting strategy, and how do you respond to it? Lack of resources is the most common objection. Some companies mistakenly think that if they don’t have a large, high-powered sourcing team, they won’t benefit from a passive talent strategy. Others say they lack systems to manage talent flow and to ensure up-to-date, engaged pipelines. The reality, though, is that employers who want to compete in today’s war for top talent have to be proactive with their relationship outreach. Talent acquisition teams simply aren’t maximizing their value if they are not pursuing passive candidates. As for the systems objection, I’m naturally biased of course, but LinkedIn’s Recruiter platform with Talent Pipeline technologyaddresses the above obstacles in a very effective way. It’s such an empowering and useful tool that doesn’t necessarily break the bank. What are some ways to build a case for passive talent recruiting? Consider taking a concept from the operations playbook, as Jim Schnyder of PepsiCo did in describing the concept of ‘just-in-time-talent’. Just as the goal with supply chain management is to anticipate a company’s manufacturing needs and have just the right resources at any given time, the goal with talent acquisition is to anticipate a company’s hiring needs and manage the flow of talent nimbly. In this model, recruiters are forward-thinking advisors rather than reactive supporters, and they can present better talent faster to hiring managers. Remember, whenever making a business case for recruiting passive talent, it is critical to translate the costs and benefits into dollars. What are some ways you’ve been able to measure ROI for recruiting solutions? To see the true ROI picture, source of hire – or rather, sources of influence or impact – are key. Some companies need to reduce their dependency on ATS source codes which capture only a piece of the puzzle. Quality of hire is another critical metric, one with which you can measure the effectiveness of your passive talent strategy very well. Time-to-fill and cost-per-hire are important but often over-relied upon metrics to evaluate recruiting flow efficiency. Other metrics to consider include time-to-present candidate slate, quality of candidate slate, interview ratios, process time to hire, and productivity loss (in dollars) per time elapsed. Once you activate a passive talent-centric pipelining strategy, you should see most if not all of your major metrics move in the right direction. Passive talent metrics empower recruiters with tangible facts and figures, giving them more autonomy and expertise. Presenting and interpreting relevant data makes recruiters more like consultants and can significantly improve their relationships with hiring managers. Can you share a success story related to the introduction of a passive candidate recruiting strategy? During 2008’s economic downturn, the company I was with faced recruiting cuts due to a sharp reduction in job openings. We designed and implemented a passive talent strategy that not only prepared us well for when the economy recovered, but also justified keeping the recruiter headcount in the interim. So while requisitions reduced from about 40 to 10 per desk, new goals were set in regards to seeking out and engaging with top candidates, delivering our employer brand messaging, and ‘staging’ the talent for when the economy recovered. Ultimately the results were tremendous for our hiring managers and our bottom line, and the recruiting function transformed for the better. By adopting a new framework and acquiring new skills, the formerly reactive recruiting department became a much more proactive and consultative one. If I’ve never created a passive candidate recruiting strategy, where should I start? Follow these initial steps and you’ll be well on your way to hiring the most talented candidates. Step 1: Solicit team and manager buy-in. Inspire your colleagues by discussing the potential of a passive candidate strategy, and present case studies and/or success stories as evidence. (For inspiration, check out our passive talent resource center and our recent interview series with our customers who are most successful at recruiting passive candidates. Step 2. Conduct a needs analysis. Evaluate your existing recruitment framework, if any. Audit all sourcing and recruiting tools and resources, and identify gaps in skills or capabilities that might prevent you from successfully engaging passive candidates. Step 3. Develop a detailed business proposal. Translate the needs into a clear benefit versus cost equation supported by quantifiable metrics. Make sure it’s feasible for you to implement. A friend of mine landed his last six clients as a direct result of his participation inLinkedIn Groups. Another sees his groups as a natural extension of his social-media marketing efforts. Because groups are relatively focused, one group probably can't meet all your needs. Decide whether you're looking to connect with potential clients, establish your credentials and authority, learn more about your field--determine what you hope to achieve. If you're new to groups, start with one primary goal. You can always branch out later. Go to the Groups Directory page and enter search terms related to your goal. Just keep in mind that searching broad terms will generate broad results; searchmarketing, and you get more than 41,000 results; social-media marketing yields more than 4,000 results. Think about what you're looking for and use search terms that are as specific as possible. You can refine your search by using the check boxes on the left-hand side of the page. One handy move is to sift search results by your current connections. For example, you can choose to see only groups that your first and/or second connections have joined. In some ways, that's handy, but given that most people hope to make new connections by joining groups, don't limit yourself to groups where you already "know someone." Searching is useful, but so is following the lead of people you respect. Go to any profile page and check out the groups that person belongs to; chances are one or two match your goals. Plus, joining the same groups increases your chances of connecting with the people you hope to connect with. Chances are, influential people in your industry are members of useful groups, so why not hang out where they hang out? Then sift through the results. Pick a few groups that appear to meet your goals--and seem interesting--and join. You can be a member of up to 50 groups, and you can leave a group at any time, so there's no harm in experimenting. Read recent discussions and click the Members link to find out who else is in the group. If you find heavy hitters or people you respect, that's a good sign. Keep in mind, some groups are members only; the manager of the group must accept you before you can participate or view discussions. Members-only groups tend to be more focused, but there are plenty of open groups that stay just as on topic and spam free. I am not sure if I am really old (I hear my kids saying, “Duh, dad”) or if it is just being in the youth-oriented business of Internet marketing, but I am noticing lots of 50-something people out of work right now. Maybe I am noticing it because they are constantly reaching out to me–sometimes people that I don’t know and sometimes people that I do know but haven’t heard from in a long time. That’s the kind of thing that makes you notice, I guess. And many of them say the same thing to me: “LinkedIn just isn’t working for me.” I don’t have the heart to tell them why, so I will tell you. This isn’t true for everyone, but I think it is true for a lot of people who are frustrated that LinkedIn isn’t working for them: They waited until they were unemployed to start using it. Now, I want to be sure that this doesn’t come across as me placing the blame on the victim here. If you are “in transition” right now (only old people like me say “unemployed” anymore), you have a lot of company. Clearly there are major things going on in the world economy–most of them bad. It’s not your fault that you are out of work. But I want this post to be advice for everyone else. Networking is not optional just because you have a job right now. We’ve changed into a permanently transient economy where few people are as lucky as I was to spend 30 years at one company. But I always did a lot of networking both inside and outside IBM and I believe that I could have landed on my feet if the fickle finger of fate pointed at me during one of the many IBM downsizings that I lived through. And if you are in transition now, and you don’t have the network you wish you did, you are stuck reaching out and building it now. That’s not great, but you have to do what you can do. I have some advice for you, too. Don’t make networking a one-way thing. Instead of flagging everyone you know and asking for help with nothing in return, offer something. Someone reached out to me this week and asked for help finding a job, but also asked me to give him a one-liner that describes what I do because he thinks he knows someone who might need my help and he will introduce me. I will go further out of my way to help him–it’s just human nature. If you are in transition, you probably don’t have 40 hours worth of stuff to do, so why not reach out and help people to build your network–you have more time now than ever. If you’re like many of my clients, you know you need to be more active on LinkedIn . But, you feel like you don’t know where to start. Right? Once you get a professional headshot up, and your summary written, there’s a lot to tackle. Should you be more active in LinkedIn Answers? Participate in discussions in Groups? Start listing the books you’ve read? Where to begin?? To avoid feeling overwhelmed, you might want to start with the familiar. You probably are already on Facebook (as there are now almost one billion users, it’s kind of hard to avoid). If you feel pretty comfortable posting status updates to your friends, why not start using LinkedIn with that same approach? Basically, it’s the essence of who you are at work. Your posts on LinkedIn can be a huge tool in promoting your brand. It can help your network get to know what you are all about professionally. With the right types of posts, they’ll soon appreciate your expertise! So, back to the question, where do you start? And, if you are going to start with status updates, what posts should a job seeker be making? Well, I can tell you what you don’t want to post! Please do not post, “I’m in a job hunt, anyone have leads for me? Who’s hiring?” This screams desperation. Plus, it’s not specific enough to have your network help you. People you are meeting in your search. (Got some great tips from my job search coach today!) Give them kudos and recommendations, when appropriate.